The congregation of the School Sisters of Notre Dame came to life when God’s call found an answer in the hearts of people strong in faith, farseeing in vision, and courageous in action. The congregation continues today in the mysterious interaction of divine call and human response. Though its roots lie deep in the past, the congregation traces its actual beginning to October 24, 1833, when Caroline Gerhardinger and two other women began a common religious life in Neunburg vorm Wald, Bavaria. Their action was inspired by an apostolic spirituality destined to shape their own lives and profoundly affect those of many others. 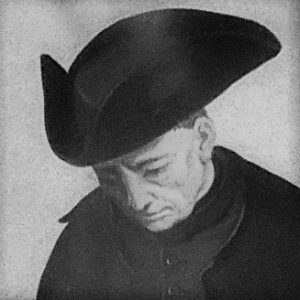 Political and religious circumstances stemming from the Enlightenment and the French Revolution had created in 19th century Germany a desperate educational situation with far-reaching effects on church and society. The rationalists’ insistence on the primacy of reason weakened appreciation for Christian education; the confiscation of church possessions by the state led to the suppression of many convent schools and made it virtually impossible for young girls to receive even a basic education. 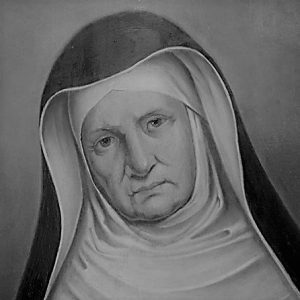 The closing of the convent school of Stadtamhof/Regensburg, conducted by the Canonesses of Notre Dame, opened Caroline Gerhardinger, then a pupil, to a growing awareness of the critical nature of the situation. Following the advice of Father Michael Wittmann of Regensburg, Caroline and two companions agreed to be prepared to be teachers in the school for girls in Stadtamhof which had been continued as a parish school. Under Wittmann’s spiritual guidance, Caroline gradually recognized God’s call to her. She shared Father Wittmann’s concern for a new beginning of religious life and his resolve to found a religious community which would help remedy the social situation through education. In their vision, the renewal of society depended on the Christian family in which the mother, the first educator, had a key role. Thus, they chose the Christian education of girls as the vital service her community would offer. Their first concern was for poor girls in small towns and villages. 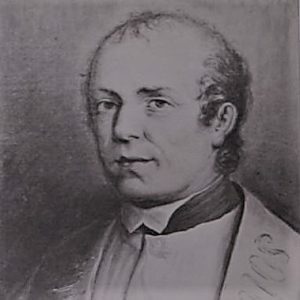 When Bishop Wittmann died suddenly during the crucial time of foundation, Caroline, in unshaken trust in God’s providence, and supported by a friend of Wittmann, Francis Sebastian Job, dared to establish the congregation in 1833. Having taken the name of Mary Theresa of Jesus, she used as the basic rule of her congregation that of the Canonesses of Notre Dame. This order, begun by Blessed Alix Le Clerc and St. Peter Fourier in 1597, took as its inspiration the rule of St. Augustine. The life of Mother Theresa’s young congregation was decisively shaped by the Spirit of the Constitution of the Poor School Sisters of Notre Dame written by Francis Sebastian Job. Mother Theresa’s spirituality deeply influenced the spirituality of her congregation. Her love for God, nourished and strengthened by her devotion to the Blessed Sacrament, enkindled the burning desire of her life: to know him and to do his will. Her longing to honor God and her concern for the kingdom were the ruling and pervading principles which dictated all her efforts. She grounded her community in poverty in order to reach the poor and dedicated it to Mary, in whom she found a model for herself, her sisters, and the young girls she served. In education she insisted on the absolute necessity of the example of the educator and on the integration of instruction and character development. The structure of her congregation flowed from her perception of the needs of those she served as well as those of her sisters. By sending sisters in two’s and three’s to reach people in rural areas, she departed from the contemporary pattern of large, formal monasteries. In order to maintain a common spirit, direction, and goal among the sisters, among the branch houses, and later among the provinces, she insisted on a unifying central government in her congregation. In contrast to established precedents and the prevailing spirit of the times, she was convinced that a woman could better understand and, therefore, direct and motivate her sisters. 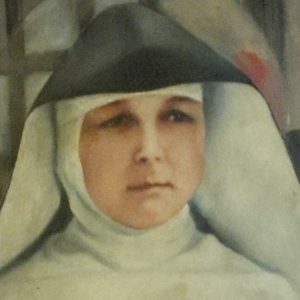 When her views about the government of her congregation were misunderstood, her trust in God and her deep loyalty to the church sustained her in the suffering she endured. The paschal mystery marked Mother Theresa’s entire life. 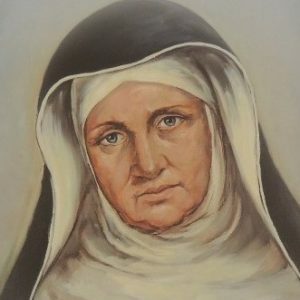 An especially intense experience of it was her struggle to obtain approbation of her congregation and her joy when Pope Pius IX approved the constitution of the Poor School Sisters of Notre Dame in 1865. The young congregation, too, knew death and resurrection as integral to its life. Extreme poverty characterized its early decades; in those years the sisters also experienced contempt and abuse from those who could not accept their values. In the 1860’s sisters suffered from wars in Europe and America. Political pressures led to the expulsion of the sisters of Westphalia and Silesia from their native lands in the 1870’s. At the same time, new life and growth came to the congregation. Appreciated and supported by hierarchy and laity, it spread from Bavaria to eleven countries of Europe and North America. At the time of Mother Theresa death in 1879, more than 2,500 School Sisters of Notre Dame were living religious life according to her spirit. They met the needs of their time by educating girls, principally in elementary schools but also in orphanages, day nurseries, and industrial schools. They trained future teachers and pioneered in the development of kindergartens. For girls who were factory workers, they established homes and provided night schools where these girls could receive basic education. 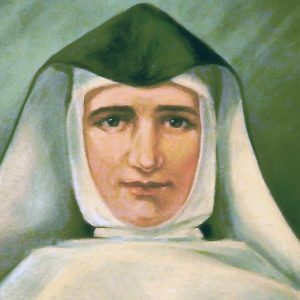 When she spoke of her order, she called it, with emphasis and reverence, the work of God. . . . her love for souls impelled her to go from one end of Europe to the other – from one continent to another; the salvation of souls was the inspiration of all her endeavors. . . . It was not the greatness of the number of her sisters that delighted her, but their inward transformation to the image and likeness of the crucified Son of God. . . . The Catholic church raised up the life and work of Mother Theresa as a model for all when she was beatified by Pope John Paul II on 17 November 1985. You can learn more on the Sturdy Roots website: Read – watch video highlights of the ceremony.